Lobotomaxx's yellow tree included two machine guns, a rifle, a laser gun, a pistol, a knife and a figure stand. Lobotomaxx featured split lower legs, a bendable neck and tail, and a hand on the end of his tail. 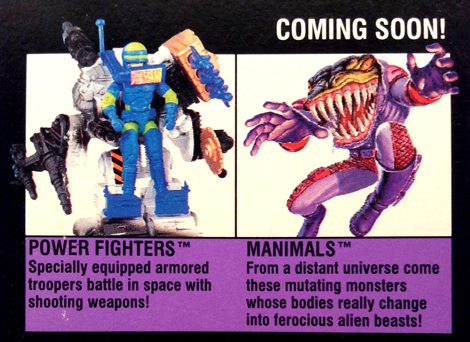 The Manimals advertised on the back of this figure were never actually produced. To learn more about unproduced G.I. Joes, visit this great resource at YoJoe.com.